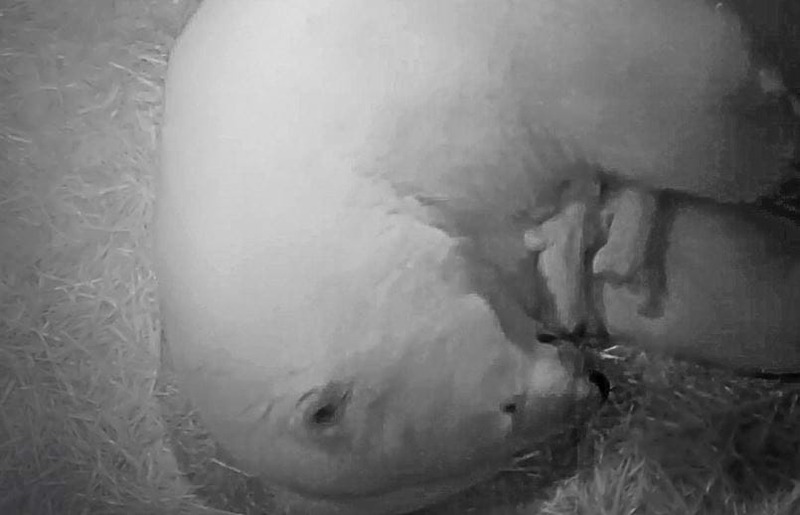 A polar bear cub born at Sea World last month has died. The cub was one of two born to 16-year-old Liya at the Gold Coast theme park but concerns were raised about its health last Thursday. Sea World director of marine sciences Trevor Long said the smaller of the two cubs stopped growing at a healthy rate when the mother bear focused her attention on the other cub. Cuteness overload at Seaworld on the Gold Coast at the moment - with the park welcoming twin polar bear cubs! The cubs, born in the early hours of last Wednesday to 16 year old mum, Liya, are blind, toothless and have short, soft fur. They weigh around 600grams each and are about 15cm long. "This is a very exciting time for Sea World and our Polar Bear and veterinary team are monitoring Liya and the cubs very closely." The cubs will spend the first part of their lives in the maternity den. Park officers will be able to determine their gender when they're ready to leave Liya's side, in July. "These early stages remain an extremely critical period and we are cautiously optimistic the cubs will continue to thrive." Village Theme Park members and new VIP Magic Pass holders (who use their pass for the first time before June 30) will be among the first to see the cubs, from about September. Eligible members and pass holders will receive an email about the offer.